The software move Thunderbird address book to CSV in an effective manner. It is capable of converting all types of a MAB file like history.mab, abook.mab, and impab.mab. Users can browse several MAB files all at once for the bulk migration with this tool. Prior to the conversion, MAB to CSV exporter is having an in-built feature to preview address book items. 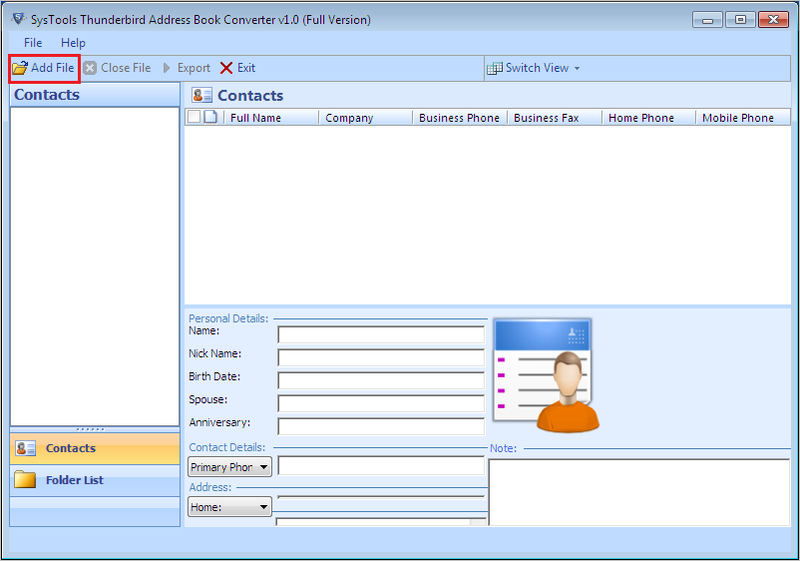 All contacts attributes like first name, last name, phone number, email id, etc., will be loaded in the preview wizard. It also shows the contact image, if it is present in the selected MAB files. 1. 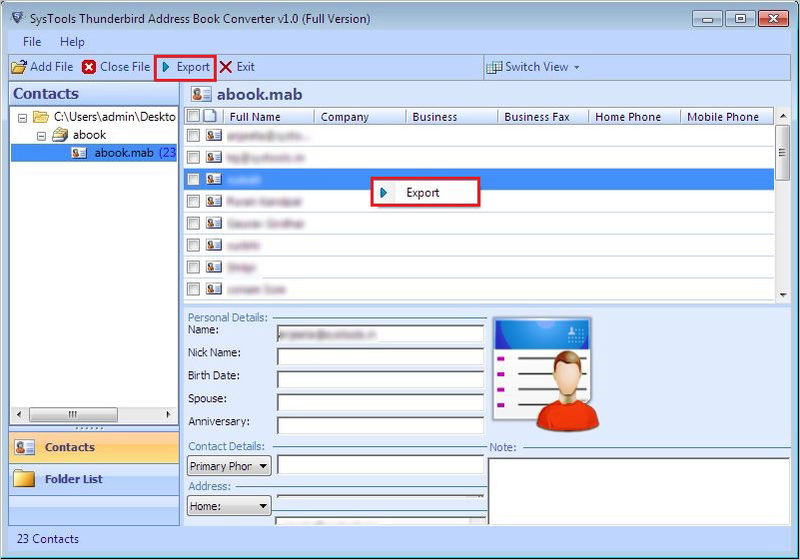 Browse MAB File: Choose one Thunderbird address book file for proceedings. 2. Browse MAB Folder: Select a complete folder having multiple MAB files within it. 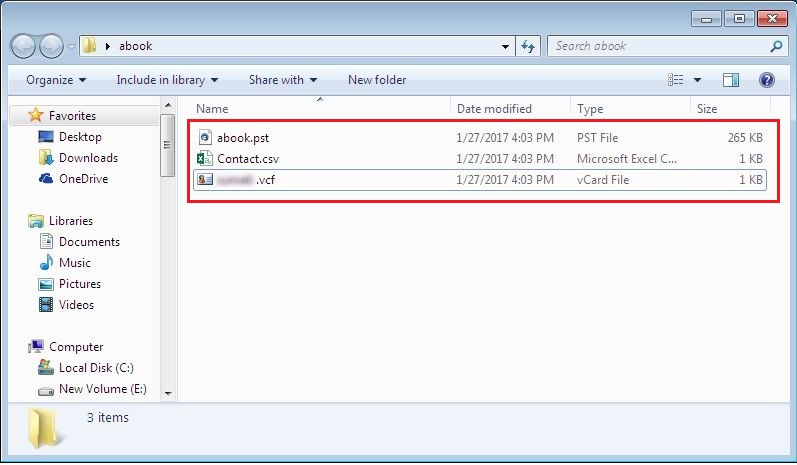 Mozilla Address Book to CSV converter is designed with capability of exporting files in absence of Thunderbird. It means that users need not to have an email application installed on machine for tool working. The software intelligently transfers file without any error statement. 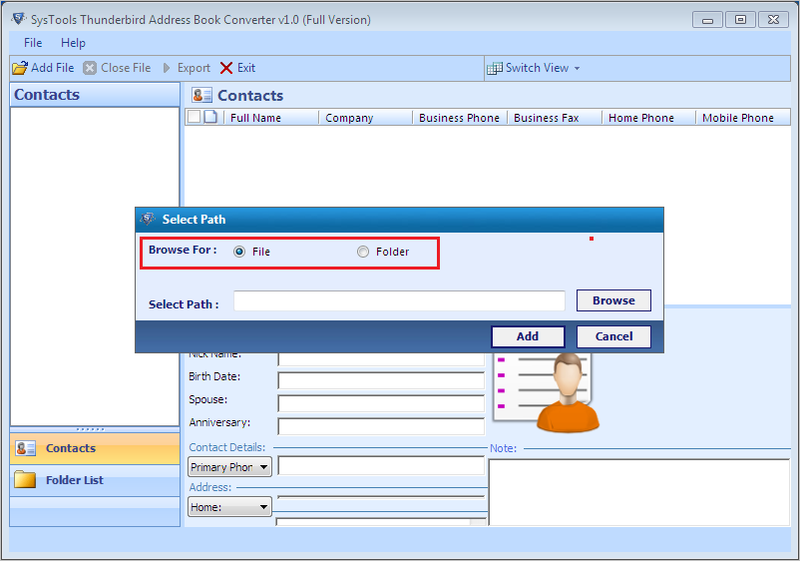 Instead of saving all contacts of MAB file, users can move only wanted address book contacts to CSV. It is not at all compulsory that clients have to save all contacts of selected MAB file. To use this feature, check the desired contacts from preview wizard and right-click on them to start selective conversion. MAB to CSV Converter is a Windows-based utility that is supported on all available versions of Windows. It is compatible with Windows 10, 8.1, 8, 7, and below versions. No matter what is the size of MAB file, the tool will export MAB of unlimited size without any hassle. 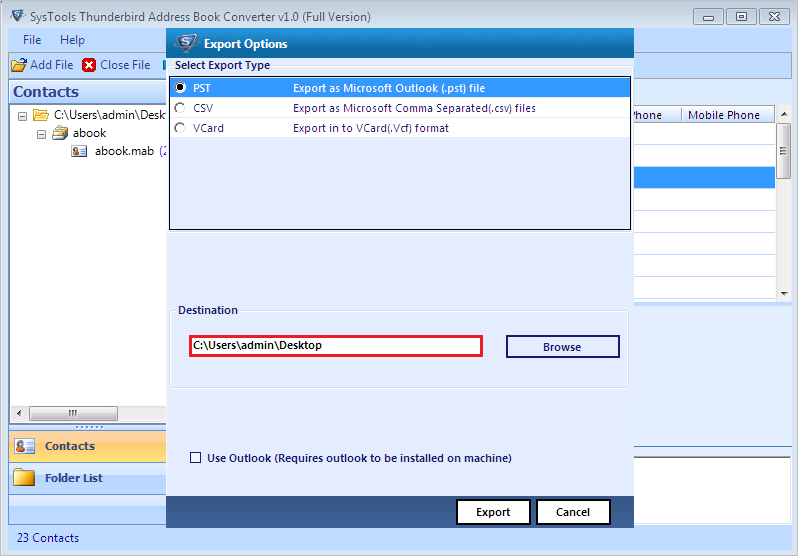 Is it possible to export Thunderbird address book to CSV without email client installation? Yes, we are providing a standalone solution to convert MAB to CSV. It is not compulsory that Thunderbird should be installed for working of our utility. 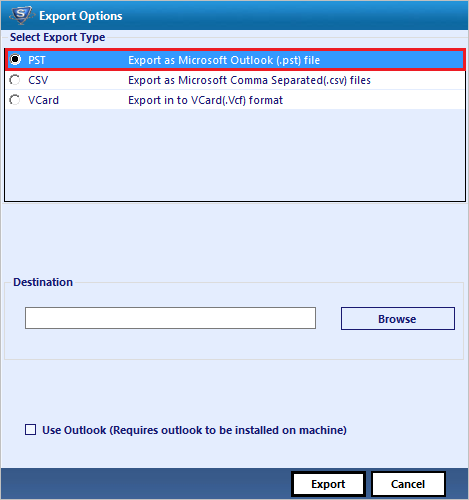 Once I have exported file with your software, how will I be able to open CSV in Excel 2016? You just need to double-click on CSV file for opening it in Excel. As such, there is no separate solution to open a CSV file in MS Excel. Can I use this software on MAC operation system? 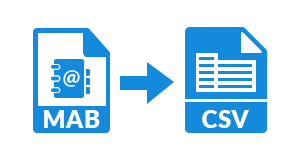 No, our MAB File to CSV converter is available only for Windows 10, 8.1, 8, and all below versions. Will I be able to combine one MAB file contacts with another with help of this tool? Yes, of course, there is an extra feature of combining multiple MAB files contacts in one CSV. This will resolve your problem without any hard efforts. Install the converter set up on your system and open it. Once the software gets successfully installed on machine, click on Add File button to proceed. The software will thoroughly scan file and instantly load its data on preview wizard. Take a look on items to be exported and click on Export to continue. When the procedure gets finished, close the software panel. Now, move towards the location that you have selected for saving files and open contact.csv file. "The major feature that amazed me a lot about this product is the ability of merging Thunderbird address book files. In a professional manner, it merge hundreds of MAB files data in CSV without causing any harm to data. Thanks for developing such applications!" "I used this product to convert my abook.mab file within it. This MAB to CSV converter was recommended to me by my manager for exporting Thunderbird address book to CSV. Based upon the software performance and interface, I would like to say that it is the best application to convert MAB file to CSV."